I know, I know. 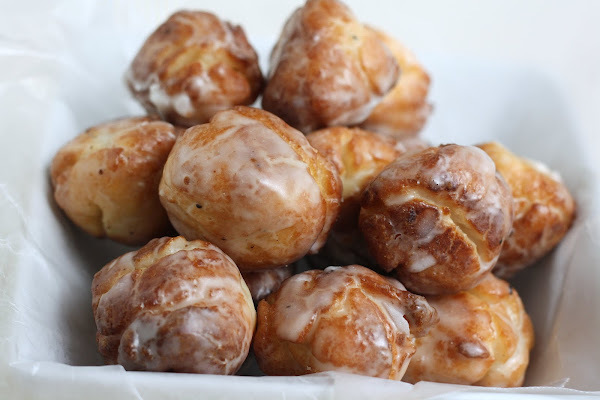 I just posted a recipe for 15-minute donut holes a few days ago. But I'm kinda going through a donut kick at the moment. So I figured, why not? I'll take any excuse to eat a donut. 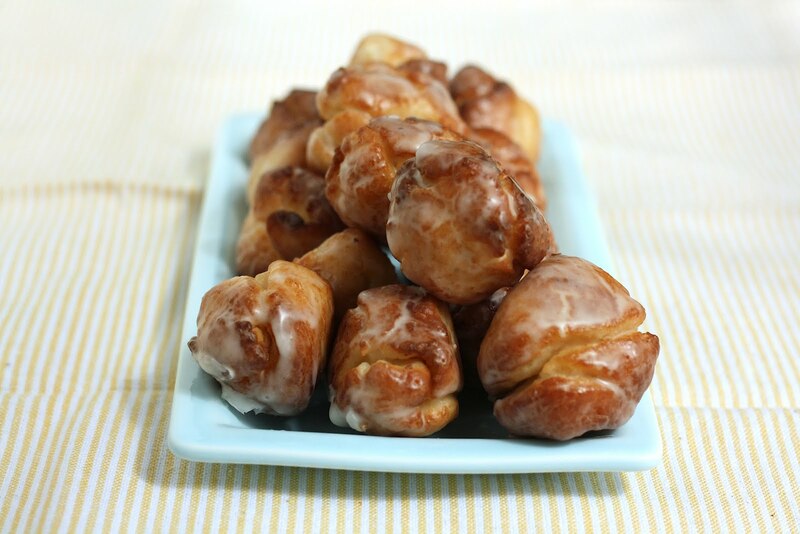 Besides, these babies are based off an old-fashioned cake donut dough. What's the difference between regular donuts and cake donuts? Again, it all comes back to leavening. Regular donuts are raised by yeast, while cake donuts are raised by baking powder. 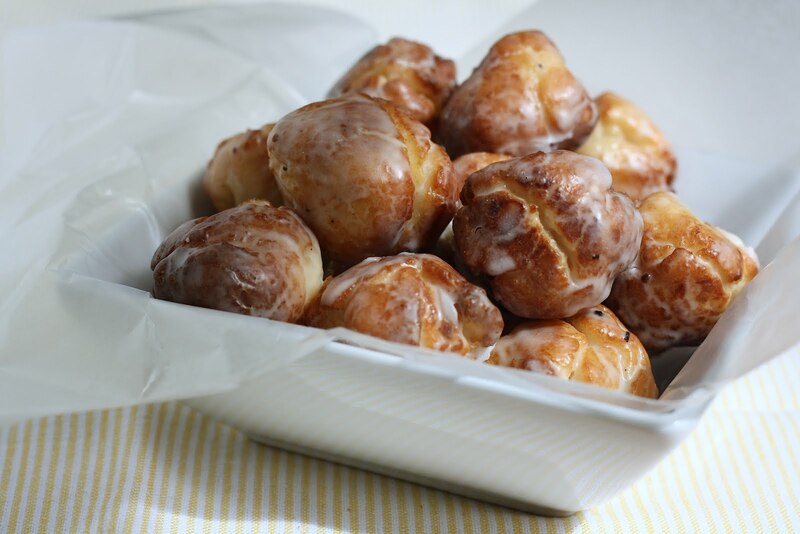 I started out this recipe with the intention of making actual donuts and not donut holes, but as I rolled out the dough, I realized I had misplaced my donut cutter somewhere along the move from Denver to Portland. So I had to improvise and roll mine into dough balls to create donut holes. In a bowl, whisk together 2 1/4 cups cake flour, 1 1/2 teaspoons baking powder, 1 teaspoon salt, and 1/2 teaspoon nutmeg. Set aside. In the bowl of a stand mixer fitted with a paddle attachment (or use a handheld whisk), beat 1.2 cup sugar and 2 tablespoons vegetable shortening together until sandy. Once the sugar and shortening are well combined, add the 2 egg yolks and mix until the mixture is light and thick. Add the dry ingredients to the mixing bowl in 3 additions, alternating with sour cream and ending with flour, scraping the sides of the bowl down as necessary. The dough will be sticky. Transfer the dough into a clean bowl, cover with plastic wrap and chill for an hour. Once the dough is chilled, roll out the chilled dough on a floured surface until about 1/2 inch thick. 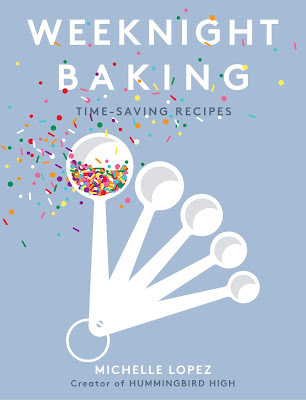 Use a 2-inch cutter to cut out as many circles of dough as you can. Roll the flat circles of dough into little balls. Pour 2 cups of vegetable oil into a heavy bottom pot (I used an iron skillet) to at least 2 inches deep. Heat to 325 (F). Ad the donuts to the heated oil a few at a time, careful not to overcrowd the pot. Fry on each side until golden brown, being careful to make sure they don't burn. When the donuts are finished frying, let drain on a paper towel to soak up the excess oil. Mix 3 1/2 cups confectioners' sugar, 1 1/2 teaspoons corn syrup, 1/4 teaspoon salt, 1/2 teaspoon vanilla extract, and 1/3 cup hot water with a whisk until smooth. 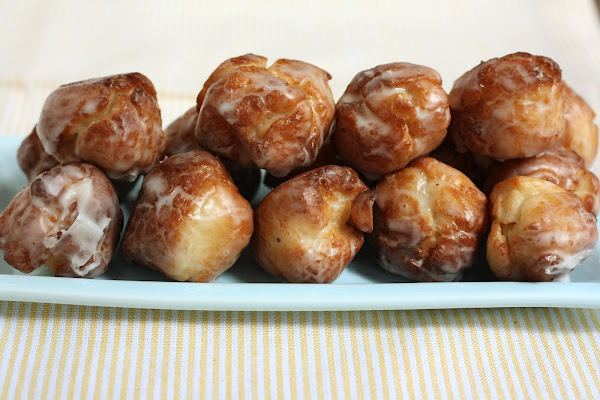 Dip each donut hole into the glaze immediately, making sure the donuts are covered completely. Place on a wire rack above a sheet pan to catch any excess glaze. Let sit for 20 minutes until glaze is set. Aww thank you so much! That's one of the sweetest comments I've received about my blog. YUM! These look great! I love the taste and texture of old fashioned donuts.. Thanks for sharing! Your recipes look AMAZING! I am toying with the idea of making my own donuts but am worried it's a difficult task. Tell me the truth... worth doing?? 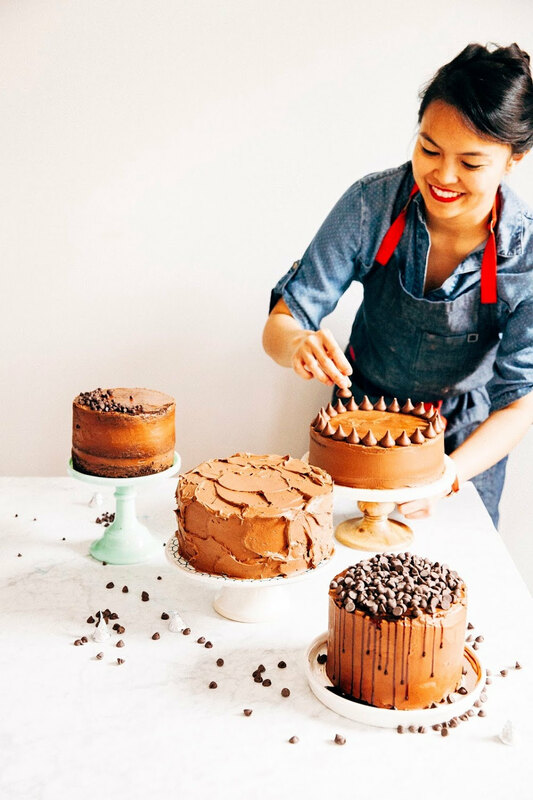 And, does the stand up mixer save a ton of time? Since this is a quickbread recipe that uses baking powder, it's much easier to work with than a traditional yeasted donut recipe. Don't be intimidated! It's worth doing! As for a stand mixer, I really recommend it, but you can get away with using a handheld electric mixer for most recipes.